For years, reducing hospital noise has been a top priority for healthcare leaders to improve patient experience, but research reveals anemic hospital noise reduction efforts have noise levels spiraling ever upward. Until now, healthcare has lacked a definitive, data-driven tool for effective assessment of the noise environment. Healthcare leaders have not had the means to plot a realistic hospital noise reduction strategy. 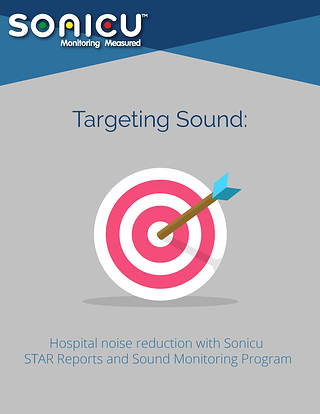 Sonicu’s Sound Monitoring Program with its proprietary Sound Target Achievement Reports (STAR) has been specifically designed for healthcare with input from some of the sector’s most reputable thought leaders.